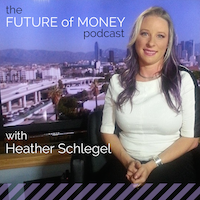 Today's Future of Wearables interview recorded on April 28, 2015 is with Boisy Pitre, Mobile Visionary at Affectiva. In it, we discuss the emotional side of technology and intelligent mobile apps. Check out the Emotion Tower mentioned in the podcast. Boisy G. Pitre is Affectiva’s Mobile Visionary and lead iOS developer. His work has led to the creation of the first mobile SDK for delivering emotions to mobile devices for the leading emotion technology company and spin-off of the MIT Media Lab. He is a speaker at various technical conferences focused on Mac and iOS development, and authors the monthly Developer to Developer column in MacTech Magazine. Boisy holds a Master of Science in Computer Science from the University of Louisiana at Lafayette, and resides in the quiet countryside of Prairie Ronde, Louisiana. 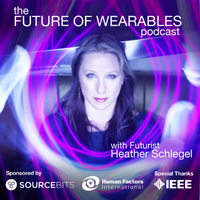 I'm very excited to introduce a new series on the Future of Wearables. Today's interview recorded on April 17, 2015 is with Eve Maler, VP of Innovation and Emerging Technology at Forgerock. In it, we discuss trust frameworks, redefining consent and the architecture of data ownership. Eve Maler is a renowned strategist, innovator, and communicator on digital identity, access, security, and privacy, with particular focus on creating successful wide-scale ecosystems and fostering individual empowerment. Eve drives Identity Relationship Management innovation for the ForgeRock Open Identity Stack; she also directs ForgeRock’s involvement in related industry standards, particularly for access control and privacy and their impact on the Web and the Internet of Things, to which end she leads the User-Managed Access (UMA) and Health Relationship Trust (HEART) standards efforts. Learn more about Eve on her blog. Follow her on twitter as Xmlgrrl. Check out Eve's involvement in the IEEE Workshop on Privacy Engineering. This interview is possible thanks to the support of Sourcebits, Human Factors International and IEEE.